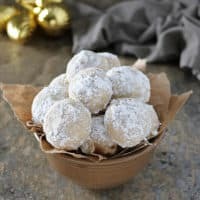 I’ve partnered with Sprouts to bring y’all these Vegan Cardamom Cinnamon Snowball Cookies – as always, all opinions are mine, thanks for supporting the brands that keep this blog spinning! I know my name is not easy to say. It doesn’t roll of the tongue. In fact, over the years, I’ve acquired quite the array of nicknames from sushi, to saatchi, to sash, to squashy and even squishy ~ just like snowball cookies! You see, what is a Snowball Cookie to me might be a Russian Tea Cake to you? Or, a Mexican Wedding Cookie? Or, maybe even a Pecan Meltaway? 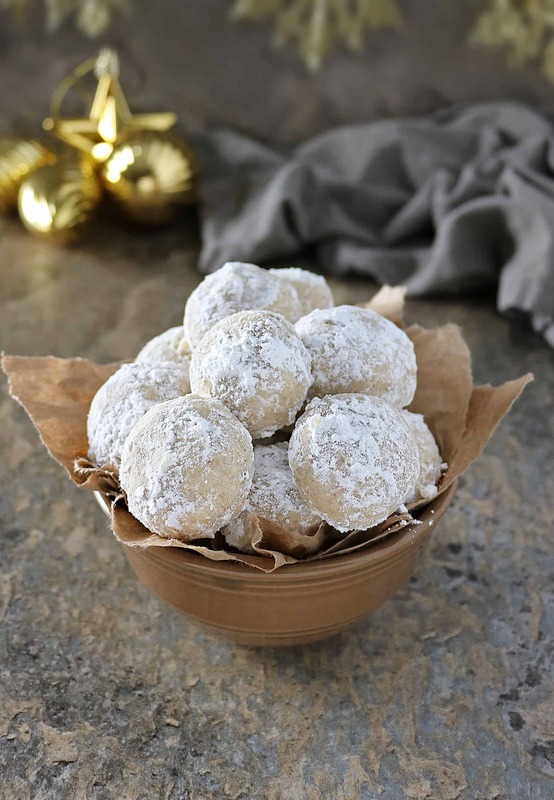 Ok, ok so I might be exaggerating our naming similarities a tad bit – after all, the differing names of snowball cookies seem to be based on the region/country they are traditionally enjoyed in. However, what I’m not exaggerating about at all is my daughter’s love for these little confectioners-sugar coated, nutty morsels! 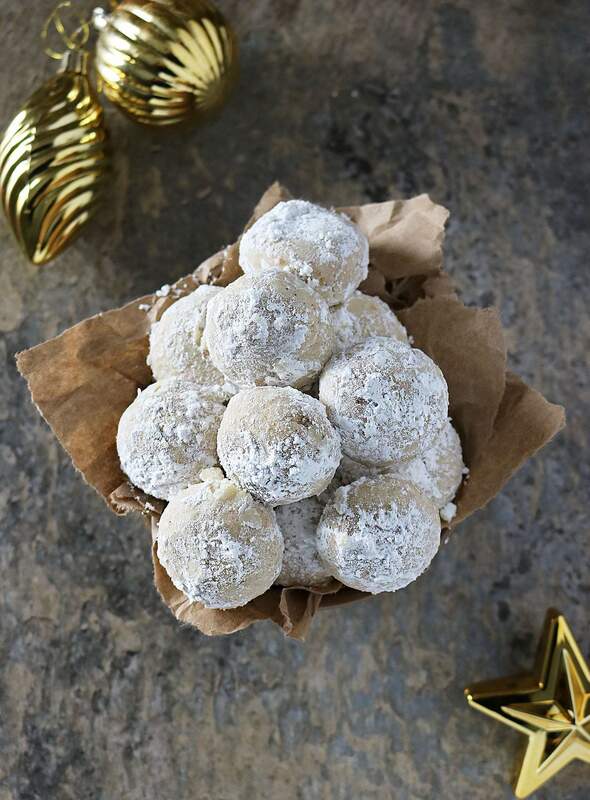 Snowball Cookies are a holiday favorite in our house – whether they are gluten free or vegan like these Cardamom Cinnamon Snowball Cookies are! These were my first attempt at making a vegan version and I made two – one with vegan butter and another with coconut oil. The ones made with vegan butter were easier to shape, and powdered sugar seemed to hug these ones perfectly. However, the ones I made with coconut oil spread a good bit when they were baking – and were not the easiest to roll in powdered sugar either. But, when it came to taste alone, my daughter and I preferred the ones made with coconut oil a tad bit more. 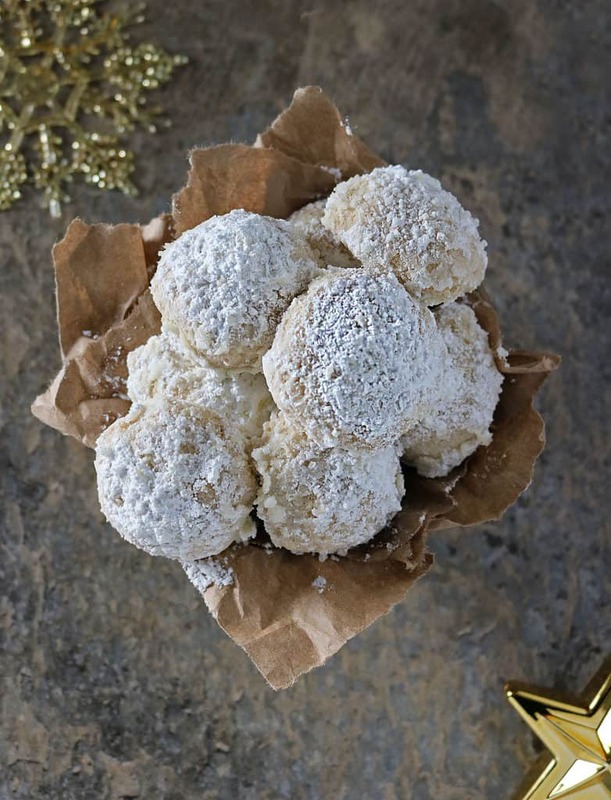 And, what’s even more exciting is I got to share these Vegan Cardamom Cinnamon Snowball Cookies – thanks to Sprouts! Now, I usually have sharing issues, but these Snowballs were included in a cookie exchange hosted by Sprouts and, y’all, that cookie exchange brought me more treats than even I could eat! Sprouts matched me up with Sara from The Organic Dietitian (who sent me some delicious Fruitcake Bars) and Haley from Brewing Happiness (who dropped off some decadent Salted mint chocolate almond butter cups on my doorstep!) – and challenged me to come up with a vegan holiday cookie! And, well, that meant I had to veganize snowballs! I picked up the ingredients for these Vegan Cardamom Cinnamon Snowball Cookies at Sprouts Farmer Market. 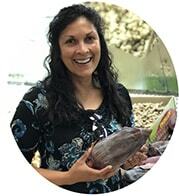 Seeing Sprouts is now an hour away from me, when I get there I like to take my time shopping and loitering – and one of my favorite areas to shop and loiter around in is the bulk bin section! If I don’t want a whole package of an item, I can just grab me a small scoop from the bin that item is in – and the same can be said if I want more than what is held in a package of said item. And, what makes this section even more appealing for me is that between 12/8-12/10 all “scoopable” bulk items will be 25 percent off during the “Incredible Bulk Sale” going on at your local Sprouts Farmers Market. With that said, I’m hoping y’all will head to Sprouts and pick up the ingredients needed to make these Vegan Snowballs – with the sale going on, you might even want to make an extra batch or two of these and host your own cookie exchange? Melt in your mouth delicious - these little snowballs also happen to be vegan! Add vegan butter (or coconut oil) and powdered sugar to a bowl, and, using a handheld electric mixer, beat the two till fluffy. Then, add in the flour and almond meal as well as the cinnamon, cardamom, nutmeg, vanilla and almond extracts and mix with the handheld centric mixer on the lowest setting. 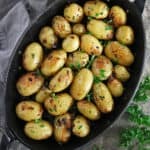 When mixed well (should resemble large bread crumbs but should be easy to combine when gathered up in your hand), roll spoonfuls up into a ball and slightly flatten – then place on parchment lined baking tray. Repeat till all the mixture is used. Remove from oven and roll in more powdered sugar till well coated. These are positively one of my favorite cookies EVER! I make a version with cranberries and pistachios, but the cardamom sounds like an awesome addition. Bookmarking! These seem like a perfect gift for my vegan bestie! So scrumptious. These look absolutely perfect! I’m making cardamom crescents today, I just love the soft warm flavor of cardamom 🙂 I have 2 family members who eat gluten free, so I’ll make these for them for sure! Cardamom and cinnamon are my favorite spices. 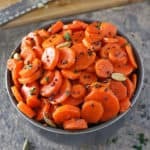 I love the warm aroma that fills the kitchen once these are baked. Can’t wait to try! We are totally on the same page here, Shashi! I have my family’s recipe for snowball cookies lined up for Wednesday. I guess great minds think alike, huh? 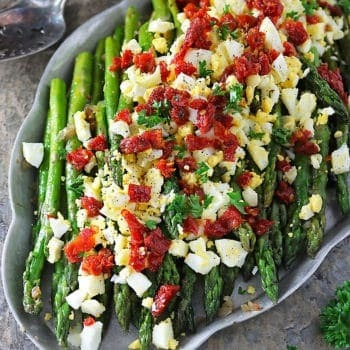 🙂 But what a fun idea to make a vegan version of this classic! 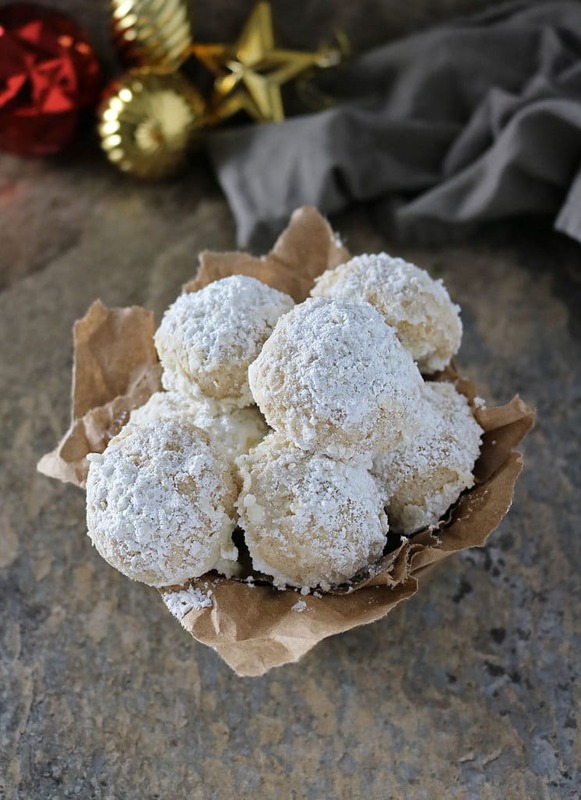 Snowball cookies are just a requirement during the holidays, and I seriously can’t imagine Christmas Eve or a holiday cookie platter without snowball cookies. 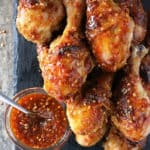 They’re so easy to make…and even easier to eat! 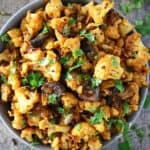 Thanks for coming up with a vegan recipe here…sounds delicious! Love snowball cookies! 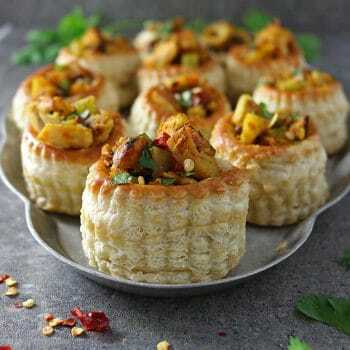 These look wonderful and festive.